March 29, 2017 0 comments on "Mysterious Water or Bleach Spots on Clothing"
Q: I have a problem with mysterious “water” spots on my clothes coming out of the wash. I don’t know if it’s fabric softener…I use the liquid kind. I don’t think so because it happens when I don’t use it in the load. Does anyone else get these?? It’s driving me nuts! I won’t even buy solid color clothing anymore because I know after a few washes the item will be ruined. Can anyone help me? Thanks. Our favorite tip: The yellow spots are usually iron. It seems to bind to some fibers very noticeably and to others it is visible only over time. There are two cures: Try “Iron Out” to first soak out the current spots (hope you haven’t dried them). Then put a little Iron Out in our rinse cycle – maybe only a tablespoon will work – sometimes more (where I live many people have to use 1/4 cup in every load of laundry. By the way – were the clothes like uniform polyester type clothes. Sometimes you can prevent this (after you presoak clothes in Iron Out) by rinsing in warm water. If you have a water system, put two tablespoons iron out in the salt tank before every backwashing, even keeps toilets and dishwashers from yellowing. Tip #1: I discovered that my hair products were causing stains on my clothes. I am the only one that uses hair products in my home. Since I have made an effort not to let my wet hair touch or drip on my clothes I no long get spots on my clothes. Tip #2: We have hard water (iron and manganese) which randomly leaves orange or yellow stains on light-colored fabrics, sometimes on only one or two items in the wash and no others. These stains usually come out with a re-wash in a product called Iron-Out. Many different deodorants and beauty products that I have tried will discolor fabric – I’ve found that only natural products from the health food store don’t have that effect. Tip #3: I bought Vanish Oxy Action Max (I live in the UK – not sure if this is available abroad). Anyhow – one spoonful into a cup and two spoonfuls of hot tap water (that’s right – ignore the warnings on the packaging). OK – now mix it into a paste and spread generously over the stained area and leave for about 15 mins. When you get back there will be a heap of powder on the stain and it’ll be pretty dry, so add another spoonful of water over the stain and leave it again for 10-20 mins (as before this is not recommended by the instructions but it works). So after 30 odd minutes you can take a look to see if it worked. I found that the middle of the brown stain had disappeared and was left with a donut shaped orange ring. I gently rubbed the stains with the spoon and this really finished it off. Give it a rinse and then into the washing machine. So far today I’ve rescued four shirts and a top which in total cost over £300 so I’m well happy. I also tore a shirt (now in the bin) through over vigorous rubbing – so be careful! Hope it works for you too. Tip #4: If the stains/spots appear to be lighter or a different color than the fabric’s natural color, then it indicates bleaching of one of the dyes. Benzoyl peroxide will mess up blue dyes. It results in subtracting blue from the color of the cloth. Purple – blue = pink. Green – blue = yellow. Black – blue = brown (rare). Khaki – blue = orange. Grey – blue = orange too. I know some of those seem counterintuitive, but it’s just the way dyeing works. Take an old garment that has one of the suspicious stains, and put spots of all the skin care products you use on it, especially ones that list benzoyl peroxide as an ingredient on the bottle. Let it sit, then wash it in the sink. This way, you might be able to identify the culprit(s). 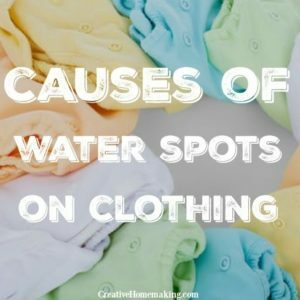 Tip #5: Have had this problem for years with bleach spots mysteriously appearing on towels and occasionally on some t-shirts. I thought it was the detergent not mixing properly in the washing machine, I switched brands of detergents and still it occurred every now and then. Finally I realized the other day it has to be something else I use in the bathroom, or it’s my body chemistry. I figured it could be my deodorant, Right Guard, or Clearasil. I decided to test my theory…got a green cotton towel, put some deodorant on it, put some Clearasil on it in a different spot, moistened the towel, even added a little detergent on top, let it sit for half an hour…sure enough the spot where the Clearasil was added bleached out! 2) don’t just read the labels on clothing, read the labels on EVERYTHING. Tip #6: I am 15 and have just recently began using Proactiv solution on the blemishes on my face (by the way it works!) 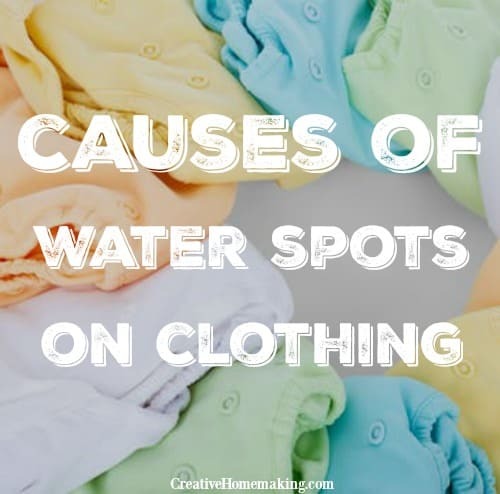 and started to notice bleach-spots on my towels and on some of my pjs. The culprit is the benzoyl peroxide chemical that is in most cleansers. The peroxide removes the dye on the material, so u can only re-dye it to it’s original colour, it’s not as if it’s a stain that will wash out. It is not water soluable, it takes a while to come off of your hands and face so if you happen to touch your pants, the towels, whatever, there is a chance that it will stain. Also, the temperature and humidity are factors in the staining, it could take a few hours to a few months for the discolouring to appear! I advise you to use older towels to dry your face, ones that you don’t particularly mind if they get stained, and rinse, rinse, rinse as much as you can to remove all residue. This works even better in the shower. Wash hands with soap as well before you touch your clothing. I have found that moisturizers with benzoyl peroxide tend not to do as much damage as the actual cleansers. Hope it helps! Tip #7: I am so glad to see I am not the only one with this problem. I was told by my dermatologist that it has to do with a high sodium content in the sweat. It has nothing to do with the amount of salt one takes in…I rarely eat “salty things”, but drinking more water can help dilute the sweat. I, too, ruin so many things. My husband never had the problem until recently. It is also caused by tears. Once while laying my head on my husband’s chest while crying, I noticed his shirt after laundering was all bleached out in spots and streaks. So body chemistry is involved. It does have more of an effect on some colors of fabrics, but cheap or expensive makes no difference. Ever walk the beach in jeans and have them bleached out? Or a beach towel that has been in the surf and then dried. Swimsuits, too! It’s the salt. 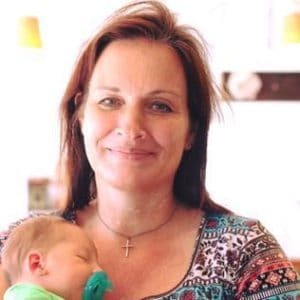 I have yet to find a solution, but I thought since so many of the doctors around are not concerned about it, because it is not life threatening, I’d try and contact the CDC. Who knows, maybe if enough of us do, they will do something to help us. It sure is an expense to a large number of us! Tip #8: I am shocked that I am not the only freak in the world who bleaches her clothes. Today was the first day that it is so obvious that I had to turn my turtleneck collar inside out because I am working! When I put it on this morning, it was fine, now the entire collar is bleached. (It’s a tan turtleneck sweater – 100% cotton) My point is, I haven’t even washed it yet!!!!! So, I have noticed this happening a lot lately, I borrowed a sweater from my daughter last week, bleached the collar of that one, too, but did not notice until AFTER the wash. So, I think it is either my body chemistry, or the Proactiv I use for acne. Any help would be appreciated, I am banned from borrowing clothes from anyone now. And the shirt I have on today is garbage, too bad to even donate to The Salvation Army! Also, I think the orange spots and discoloring of lighter clothes in the wash definitely comes from high iron content in water. They make a product called Wink that removes rust/iron. A water filter would help, too. The dark spots are probably from fabric softener as everyone mentioned and I have found that putting any king of liquid soap directly on the spots removes them. Tip #9: I was just talking to my husband about this problem this morning thinking maybe I was sick and had some kind of chemical problem. I had to go out last night a buy two more tank tops because of this problem. I thought I would look it up and to my surprise there were all of you with the same problem. Funny thing is that I realized what is doing this as I was reading all of your remarks. I have noticed this before but not so much that it was a problem, that is until I just went to Hawaii! And my favorite cotton PJ’s became bleached out all over in different spots and shapes. It only happens at night when I sleep and lay in one spot for a long period of time. You can actually see the fold lines where my top got folded when I slept on it. I truly think it is from the salt in our sweat. Salt is used in the bleaching process and there is allot of salt in the air in Hawaii and when you go down surfing there is a lot of salt in the ocean which you soak up like a sponge and your body rids itself of when you sweat. Since I came back from Hawaii last week I have ruined all of my nylon PJ tank tops and my spandex tank tops that I slept in, as I live in AZ and sweat a little. I thought at first it was bleach left in the sheets that was rubbing off onto my tops but as I sat here the Hawaii thing came to me. I am however going to wash my sheets good with no bleach and sleep with no covers and the air on tonight and see what happens. Tip #10: I have been reading all the posts because today another brand new, never worn before shirt has “bleach arm pit stains”. Your comment about ProActive I think is it. I used it today and my brand new shirt is completely ruined but yesterday and the day before I didn’t and my shirts were ok. I think you are right. This would answer why it happens sometimes and not others because I don’t always use it. I think it has something to do with the ProActive Repair Lotion. Last week a shirt I have worn many times did not have spots when i put it on but was covered in spots when I took it off a few hours later. And I used the ProActive Lotion that day. I really think that is it. For other people who are not using ProActive, look at other ingredients in things you are using to see if it is has similar ingredients, like peroxide. Tip #11: We were having oil stains on white items washed in the washer. When the repair man came to the house, he removed the drum (basket) from the washer and it was covered with lint and detergent residue. According to him , this caused the transmission seal to leak. He put a new gasket and recommended to run the washer with no clothes in a heavy duty wash cycle, replacing the detergent with 2 gallons of white vinegar (weak acid) and hot water. After trying this, we ran a batch of white clothes and the items were not stained with oil. However, they came with lint. So it could be that the system was still flushing the excess of lint. Also, the repair man recommended to switch to a high efficiency detergent (HE). Like these tips? You might also like these tips for getting yellow armpit stains out of shirts.